Laura Sommers is hearing voices in her head and consults with a psychiatrist. 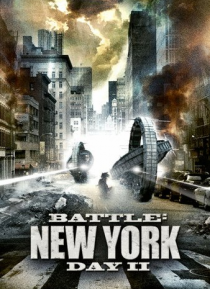 The therapy is suddenly cut short when New York City is rocked by an alien invasion. Laura is knocked out and awakens to an empty, abandoned city. A drifter, Neil, finds Laura and takes her to safety. Fighting off the zombies, they begin to understand the aliens' battle plan. Laura must fight off the zombies to reach the… Alpha, the controller, to make the city safe for the survivors.